Interesting new video showing what looks like a fast moving object being followed by a helicopter. Your comments on this video appreciated. Source: MUFON I heard a military helicopter coming from the east at about 7:30 p.m. February 27th 2014 in Anaheim Hills, California. A large bright white orb was being followed or escorted by some type of military helicopter. The path was mostly straight with only the sound of the one helicopter heard. Thet both went over head and continued west. The front white glowing orb slowly vanished from view as I caught it all on video. Then the object seemed to have jumped to the right hand side of the sky instantly; being seen glowing in the clouds that are due for rain. Helicopter continued until out of sight on its own. Huge Mystery Object Caught Next To Jupiter - what was it? Incredible object caught near Jupiter, which seems to have a core shaped like the number "8". The four frames (gif) indicates it has a flight path, this rules out lens flare in my opinion. Whatever this object is, its huge in scale, and its heading our way, so further sightings of this mysterious object should be forthcoming. A mysterious shiny object appears on a security camera bikers garage and their movement seems to be intelligent in nature. While flying over Pisco, Peru, we noticed 3 very bright large objects. They were not moving much. They passed by us at a distance of 20-30 miles at approximately 20,000 feet. We were at 31,000 feet. There were 4 crew members on our B767-300ER. All noticed it. There also was a Mexicana Airliner overhead that noticed the objects as well. They were to large to be ships. They were over the ocean and very bright. We called the local air traffic controllers in Lima and they did not see them on radar. Dont Miss the new MUFON based UFO series on History's H2 channel this Friday at 10pm. 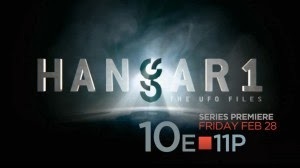 Announcing the MUFON-based TV series on The History Channel’s H2 network entitled “HANGAR 1: THE UFO FILES” premiering on February 28 2014 at 10:00 pm EST/PST. The series features interviews with Jan Harzan, John Ventre and Jeremy Ray of MUFON and Jason McClellan of “Open Minds” radio along with other experts including Richard Dolan, Grant Cameron, Leslie Kean, and Michael Schratt. Many people in the Pucallpa region of Peru have reported seeing strange lights and objects in the sky in 2014. If you have ever wondered if you have an alien implant in your body then Pane Andov could be your go-to man. The Macedonian-born UFO researcher will not only be able tell you how you can detect one, but will offer information on a wide variety of extraterrestrial subjects during an all-day talk on Saturday, March 1. Described as “a spectacular lecture you won’t forget”, he answers those three big questions: Why are they here? What do they want? And how do we deal with the situation? 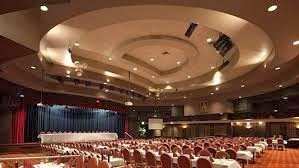 Called Extraterrestrial Intelligence in Our Solar System, the event will take place on Saturday March 1 from 9am to 4.30pm at the Burwood RSL, 96 Shaftesbury Rd, Burwood in the Dome. Another similar object but also different with light effect in the night vision segment. Filmers comments: Witnessed 4 glowing objects flying above Longwood Fl, crossing Wikiva Springs road - witnessed while driving at 11pm Feb 25. Objects appeared to travel together and gaining altitude forming a square. At first appeared as large glowing 4 balloons. After approximately 3 min traveling together objects appeared smaller as if gaining altitude back into space. I used a video editor to cut out the sound - my son was too excited - video contains a sample watermark but was unedited. Three bight mysterious lights appear over the Bi-Lo market are in Greenville at 9pm on the 22nd of this month and one witness got the chance to record the odd occasion and share it to the world. The three objects clearly keep a stable yet moving possition and the witness scrubs out all identities of what they could be, only leaving UFO as the answer. What is your thoughts on this? You really need to view this video in fullscreen to see the outlien of the lights.